What an excellent story and a tribute to the man. 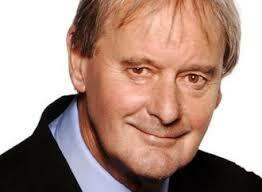 There have been many well-deserved tributes to John Fortune, the esteemed satirist, who died yesterday. You can hear a podcast of his 2004 interview on BBC Radio 4’s Desert Island Discshere. When John Fortune, a recent Desert Island Discs castaway, revealed that had he not got a better offer from Peter Cook, he would have ended up a tutor with the Workers’ Educational Association, Tim Arnold, an official with the WEA, grabbed his cue and contacted him. Fortune readily agreed to give a satire masterclass with WEA students during adult learners’ week. His subject at the event, on May 25 in London, will be the government’s approach to funding FE provision.